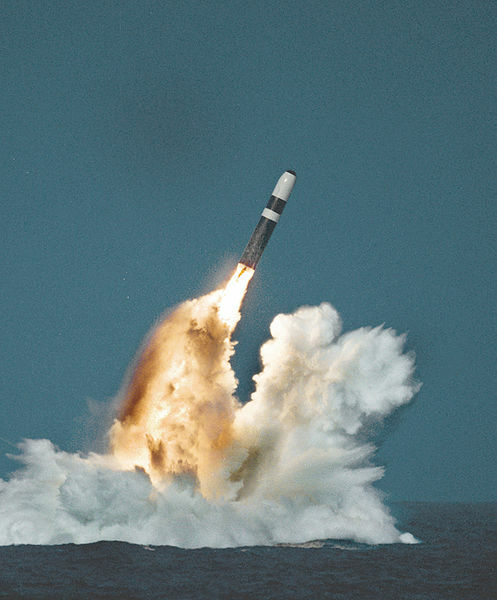 HMS Vanguard launches a Trident II SLBM (Submarine Launched Ballistic Missile). Labour Party leader Jeremy Corbyn is a long-time proponent of unilateral nuclear disarmament. I strongly disagree with that stance, because I find it dangerous, naïve and useless. However, it can get worse. In order to balance unilateral disarmament and the trade unions that support him, Mr. Corbyn is contemplating an obnoxious policy position regarding the replacement of the Trident submarines which currently guarantee the United Kingdom’s nuclear deterrence. The current four strategic nuclear submarines (SSBN) of the Vanguard class will be phased out in the fifteen years, starting in 2028, and the House of Commons is due to give the final approval of the acquisition of four new SSBN’s of the Successor class and the respective Trident missiles next Spring. This fleet will continue to guarantee the Continuous at-Sea Deterrent (CASD) attained by having at least one submarine deployed on nuclear patrol at any given time, a hallmark of the UK’s nuclear posture for half a century. 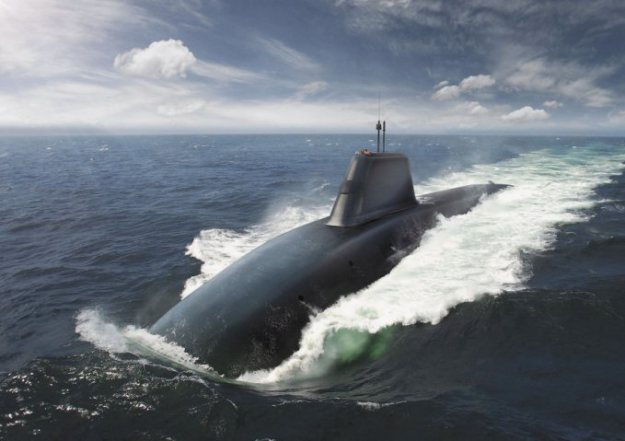 HMS Successor – an artist’s rendition. Mr. Corbyn, of course, strongly objects to this, although he is in the minority in his own party at Westminster. However, the trade unions are adamant about building the subs, because of the job creation the programme entails: at present, it already involves 1400 jobs and 240 suppliers and could grow to something like 6000 people and 850 contractors. So, what did Mr. Corbyn’s team devise? They are considering building the four Successor submarines, BUT will oppose equipping them with the missiles. That is the equivalent of building a hospital, but refusing to install beds and medical equipment! For the sake of creating a few thousand jobs, Jeremy Corbyn seems to be willing to spend £31 billion! That’s right: 31 billion Pounds! That must be the most expensive job creation programme in History. And, instead of nuclear deterrence, he offers a fleet of state-of-the-art toothless sharks. Given the absurdity of the plan, the Labour leadership decided to present it with a label that was supposed to confer credibility on it: the “Japanese option”, according to shadow Defence Secretary Emily Thornberry, which she defined as “to maintain subs and nuclear capabilities without having operational nuclear weapons”. * Japan does not have any experience in actually manufacturing nuclear weapons, much less testing them. * Japan has never had any nuclear weapons, operational or not. * Japan has no work done in fitting nuclear warheads in a delivery system, such as a missile. * Japan has never test-launched nuclear missiles from a submarine (or from anything else for that matter). * Japan does not have nuclear submarines (only diesel-electric ones), and thus, no capability to conduct nuclear deterrence patrols. So, the so-called “Japanese option” is not Japanese and it is absurd, as far as an option goes. They could as well have called it the “North Korean option”! Mr. Corbyn is clearly out of his depth, balancing his distorted vision and the vested interests of his union constituency, while losing sight of the United Kingdom’s strategic interests.